1,229 people have died of the virus since the beginning of the year. There are some points to consider in the Ebola outbreak, whose first case dates back to December 2013, when a two years old child died in Guéckédou, Guinea. What to know: Frequently asked questions can be found on the World Health Organization website, from incubation period (from infection with the virus to onset symptoms is 2 to 21 days), transmission (mainly from a direct contact through body fluids, secretions and blood of the infected person and indirect contact with environments contaminated with such fluids) to signs, symptoms and prevention measures if traveling from or to Western Africa countries (Sierra Leone, Liberia, Guinea, Nigeria). 1. 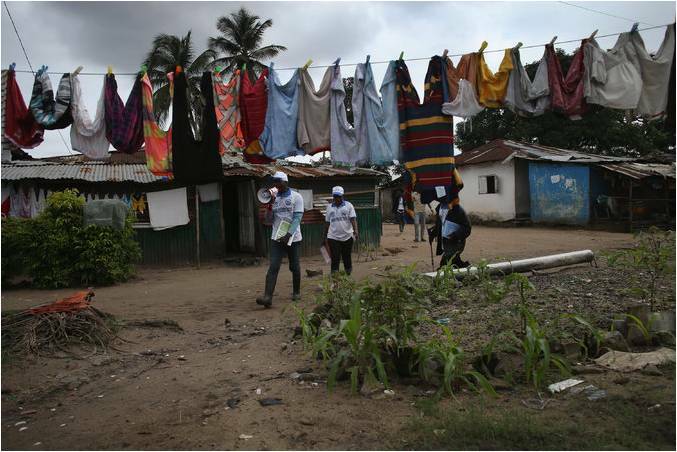 The local population: According to health workers experts in the field, many times locals are unaware of the situation: there is misinformation, misconceptions and myths about the Ebola. People tend not to inform the health workers of reported cases of illness. Programmes of social mobilization, communication and raising awareness must be strengthened. 2. Mapping the disease and the transmission change by using tech tools and OpenStreetMap community. This is to quickly respond to infected people, locate and isolate who is sick and prevent other people from getting infected. 3. A call to governments to provide more funding allocated in the right way, following NGO's and International organizations guidelines acting directly on the field. Médecins Sans Frontières (MSF) raised a call for "an immediate and massive international mobilization of medical resources - human and technical- to Liberia and Sierra Leone". 5. Open and strengthen health facilities and treatment centers: The WHO, opened this June a sub-regional Ebola outbreak coordination centre in Conakry, Guinea, to coordinate the work of the governments, WHO and the partner agencies in the countries affected. Cross-border collaboration is crucial. 6. Protect Health workers: the health of the population begins with the health workers who are supporting operations. In addition to standard precautions, health care workers should strictly apply recommended infection control measures to avoid exposure to infected blood, fluids or contaminated environments or objects- such as patient's soiled linen or used needles. According to the WHO, they should rigorously use also a personal protective equipment (PPE), including gloves, an impermeable gown, boots/closed shoes with overshoes, a mask and eye protection for splashes. 7. Increase protective measures in clinics and hospitals, at community gatherings or at home. As of now, there are no proven drugs to treat Ebola. Experimental treatments are under way, notably ZMapp, which was first given earlier this month to two US aid workers, who were flown home for treatment from Liberia. They are showing signs of improvement.